IISc Bangalore is one of the best educational/ research institutions in India. 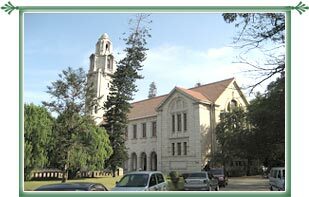 Know more about the Indian Institute of Science, Bangalore. The degree programs offered by the Indian Institute of Science can be classified into the following two categories. For getting admission into IISc Bangalore M.E. /M.Tech programs, one has to undertake GATE examination, followed by a personal interview. The cutoff required for getting admission into M.E. /M.Tech is usually higher than 99 percentile. In case of MBA, one has to take Joint Management Entrance Test (JMET) examination, followed by a group discussion and a personal interview. For other course, admission is done on the basis of the entrance test of the Institute or any other test recognized by the Institute, along with a personal interview.